Every week I look forward to reading about the new featured restaurant in our local newspaper. 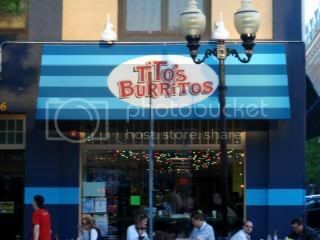 A couple of weeks ago, I read about a new Mexican place called Tito’s Burritos that had just opened in Morristown and I had to give it a try. Tito’s cuisine may be Mexican or Tex-Mex, but the atmosphere is one of a Hawaiian or Californian surf shop. 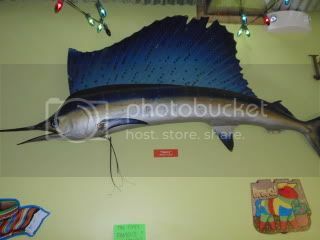 There are two flat screen TV’s – which were showing a skateboarding video, a huge marlin on the wall, as well as surfboards. These are just some of the fun items that adorn the restaurant. The atmosphere is fun and relaxed and the friendly staff illustrates that. Everyone seemed to really enjoy working there. 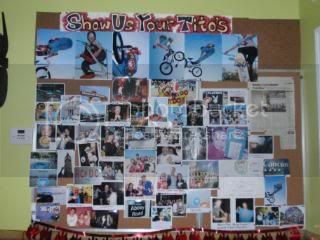 There is something for everyone at Tito’s and it appeals to people of all ages. The night I was at Tito’s, there were families with young children, teenagers and adults of all ages. 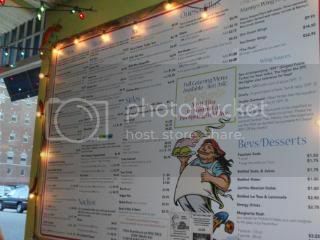 The menu is extensive and very unique. 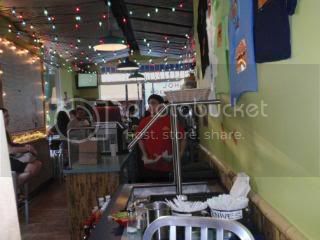 They serve burritos, tacos, quesadillas and salads – they even have fries and wings! Any burrito can be made without a tortilla, with a low carb tortilla, or as is. They can be made “wet” which means special sauce and cheese added, or “green” which means added guacamole. There really is a burrito and taco to satisfy every palate, the most unique being the Blackened Salmon Burrito. I ordered a San Quentin which is a ground beef burrito with a choice of black or pinto beans, cheese, yellow rice and pico de gallo. It was very tasty, not an obscene amount of cilantro and very neat. I thought I would have to use a fork and knife but all the fillings stayed neatly inside the tortilla so it was not messy at all. My boyfriend ordered The Big Easy. This was our favorite out of the two we ordered. It’s a blackened chicken burrito with yellow rice, cheese, lettuce, pico de gallo and ranch dressing. I think this was the most popular burrito that night because I heard it ordered over and over. 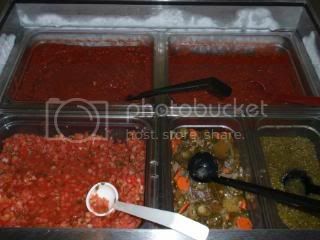 We also tried the guacamole and the salsas from the salsa bar. All of them were very good. 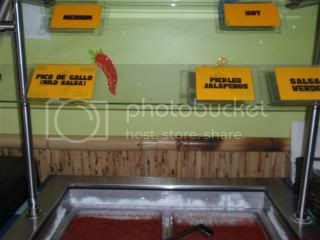 The pico de gallo was my favorite, very tasty with just the right amount of salt. I think the most surprising thing we tasted were the fries. 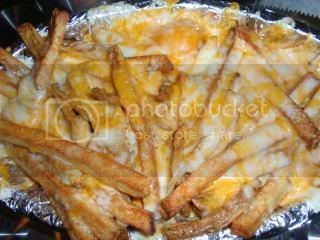 Who orders fries at a Tex-Mex restaurant you ask? We do when they are covered in cheese and served with a chipotle dipping sauce. If you ask me, that sauce should be on everything! I think it would have been perfect in my burrito. So Tito, maybe you should add that to your menu with all the other add-ons! Tito’s does not serve alcohol but they are a BYOT – Bring Your Own Tequila and will gladly make you a frozen Margarita. If alcohol isn’t your thing try a Mexican soda or some refreshing lemon or limeade. Tito’s Motto is “It’s all good!” and everything that we tasted was certainly better than good. I plan on becoming a regular at the Morristown location and I was told there is another one just minutes from my office in Summit. So, now I can have my Tito’s fix for lunch or for dinner! I hope to see you there. Michele Brigante is a passionate home cook. She enjoys entertaining and loves cooking for friends and family. Her passion for cooking can be attributed to growing up in an Italian-American household in Brooklyn, New York. Michele’s Italian Grandmother has been a big influence in her life and she started her blog, My Italian Grandmother, as a tribute to her. Michele now resides in Morris Plains, New Jersey.